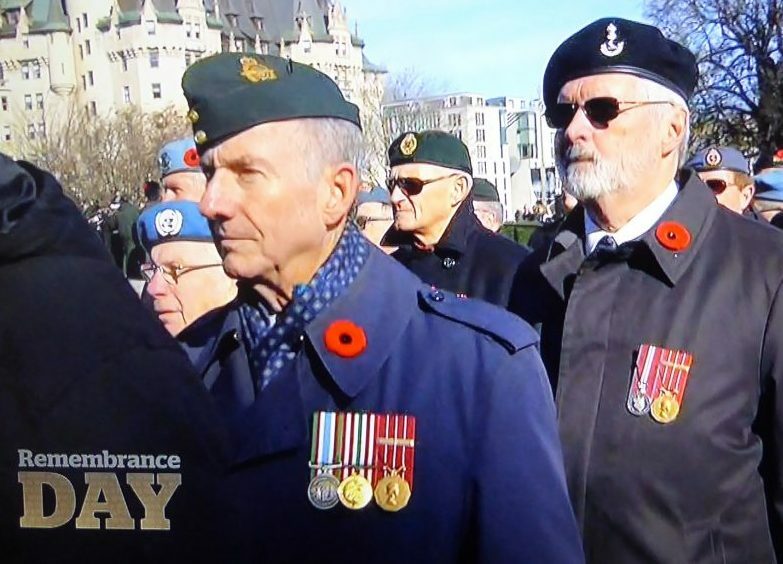 On Remembrance Day 2017, 7964 Don Bell (right) and 7530 Fletcher Thomson (left) (both Class of ’69) marched in the veterans’ contingent of the Ottawa parade. Upon dispersal, while they were on their way to the Veterans’ Lunch at the Chateau Laurier, a lady in the crowd gave each of them a letter written by a school child thanking them for their service, and asking questions about life in the Armed Forces. When they arrived at the lunch, they found more letters like these at their table. After the lunch, Don noted that some of the letters had not been picked up. To avoid having the letters go unanswered, he canvassed classmates to write replies. Over the next few Issues, eVeritas will publish these letters and replies. Due to privacy and security concerns, only the students’ first names can be published. They all attend a Catholic Elementary School in Peterborough, Ontario. 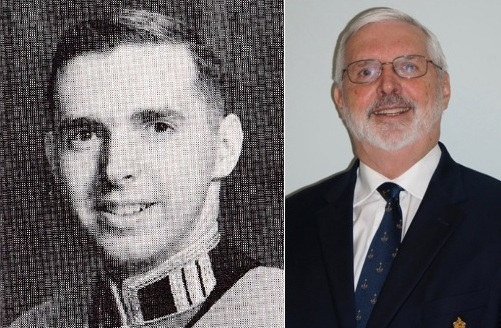 Don spoke to the school principal and discovered that her father was Queen’s Own Rifles from Toronto. He was injured at Juno Beach on D-Day, but lived to a spry 88 years. She has had her students write these letters for the past ten years, and personally distributes them to veterans after each Ottawa parade. It is very encouraging to see teachers and students taking such an interest in veterans and what they have done. We hope you enjoy reading the letters. 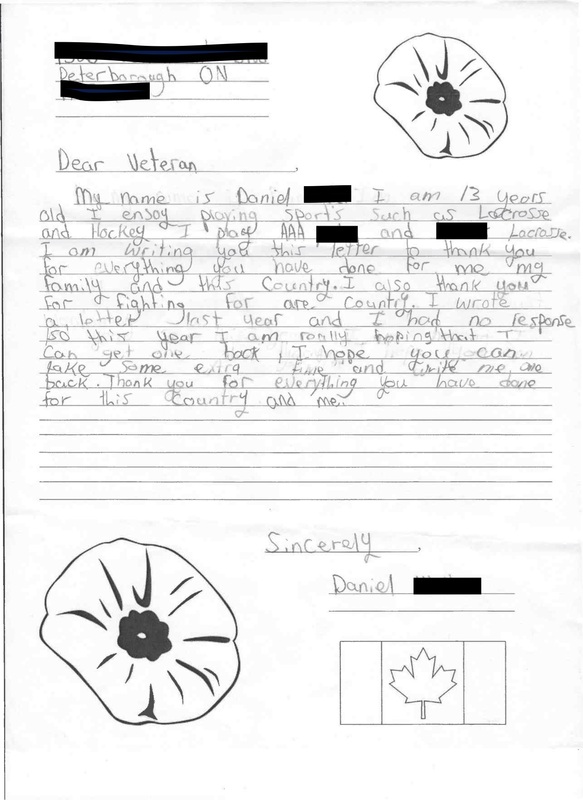 Thank you for your letter, which I received just after I marched with my fellow veterans on Remembrance Day in Ottawa. Although the weather was cold that day, I felt very warm after reading what you wrote. I am sorry that you did not receive an answer to your letter last year, so please let me try to fix that this time. We spent a lot of time practicing submarine hunting, and we were very good at it. We practiced launching and recovering the helicopter, and firing torpedoes, mortars and high explosive gun shells, day and night, in all weather conditions. We sailed to the oceans where enemy submarines might hide – the Atlantic and Pacific Oceans, especially the Baltic Sea, the Mediterranean Sea, the North Sea and the Bering Sea. We worked with ships from our allies – Britain, Denmark, Germany, Holland, Norway, the United States and others – to learn how to find submarines deep under water. We were away from our homes and families a lot. In fact, one of my sons was born while I was at sea, and I didn’t get to see him until a whole month later. I am happy to say that we never had to fight a war. It was a bit like life in a schoolyard. We stood together with our allies whenever someone tried to bully any of us, and the bully finally decided that it was better not to start a fight at all. I am retired now. It’s up to younger men and women to follow behind me, to learn how to do all the jobs in the Army, Navy and Air Force, and to be so good at their job that no enemy will ever want to start trouble. I hope that war never comes again, but if it does, it’s best to know what to do. I hope I have not bored you with my sea stories. I am pleased to see that you play hockey and lacrosse, two great Canadian sports. You must be a very good player to be on that team. Well done! I know Royal Military College is always looking for new cadets, particularly if they are good hockey players. You might want to look at their web site, www.rmc.ca J I had a great career in the Armed Forces. Who knows, you might like to join as well. Whatever career you choose, though, I wish you great success. I hope you do something to make Canada even greater than it already is. P.S. 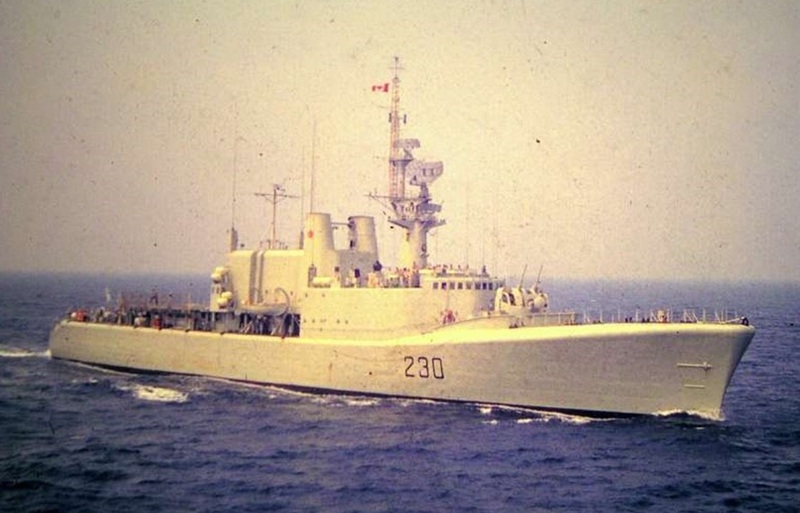 I have enclosed a picture of HMCS Margaree, and one of me transferring from one ship to another on a jackstay. 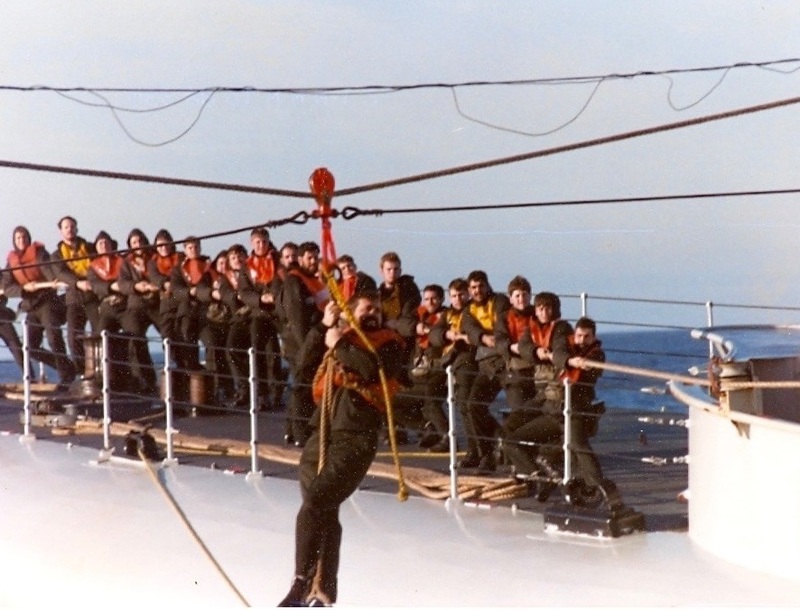 The rope you see above my head runs between two ships that are steaming through the water, and the sailors you see in the background are pulling the rope tight so I don’t fall in the water. The Navy is like your hockey team – you really learn to rely on your teammates. A very good site, and one which promotes conversations. Well Done. W.A.D. Yuill. Hi Don, while you were attending Etobicoke Collegiate High School, I was attending Alderwood Collegiate Institute (‘60 to’65). I played junior rep football and junior/senior basketball against Etobicoke Collegate teams. Might you have been on one of those teams? I enjoyed reading your letter about your career. Cheers. Your classmate and fellow naval officer with 30 plus years of service.